Our 357 Magnum offers fantastic power and accuracy. 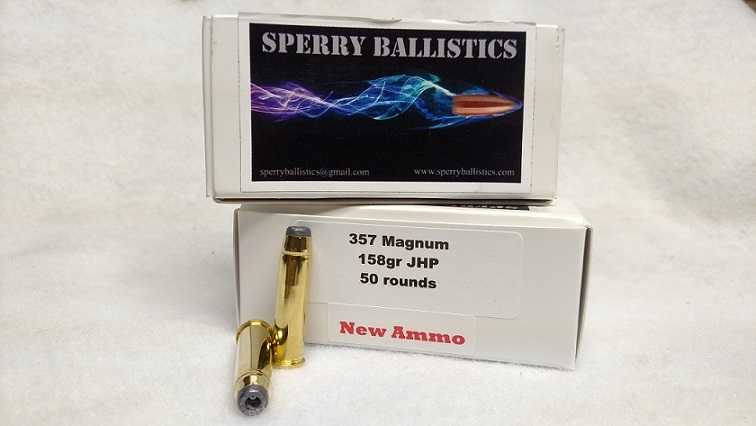 158 grain semi-jacketed hollow point on Starline Brass. Velocities exceeding 1500 FPS with an eight inch barrel.